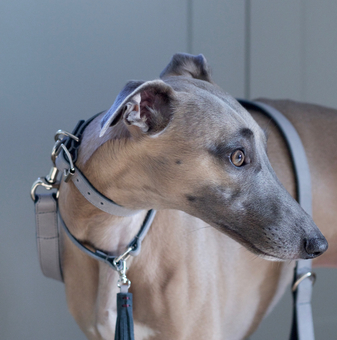 After years of handcrafting handbags and cases, the idea for The Velveteen Hound was born along with our whippet Reuben. At The Velveteen Hound we celebrate our love of sighthounds, bringing together beautiful products for your hound that you’ll covet. Quintessentially British, with an emphasis on understated luxury, we specialise in producing high quality designs for your hound that will also compliment your lifestyle. Made on a small scale, much of our process involves hand-making at our studio in Somerset, where we work with vegetable tanned leathers and beautiful jewel coloured, velvety suedes, blending traditional leather work with current design techniques resulting in products with a contemporary twist. 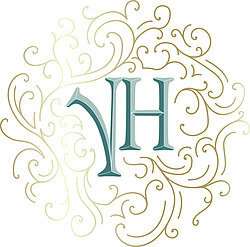 Hand made in our workshop in Frome Somerset. 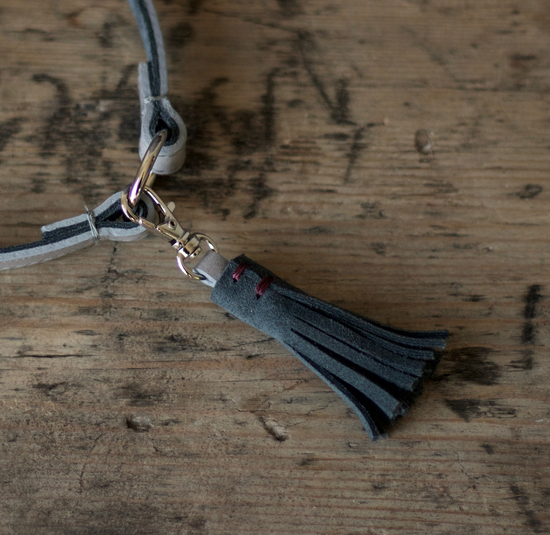 Each collar and lead is made with great care and attention to detail, using hand-picked leathers suedes. 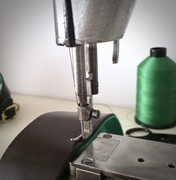 The leather for our collars and leads originates from Tuscany (Italy). The hides are European sourced and are processed using the traditional method of vegetable tanning. The process of vegetable tanning enhances the natural characteristics of the leather, so that small marks and imperfections may be visible and dye may be absorbed slightly differently across the hide. This makes the leather unique adding to the individuality of the cases.